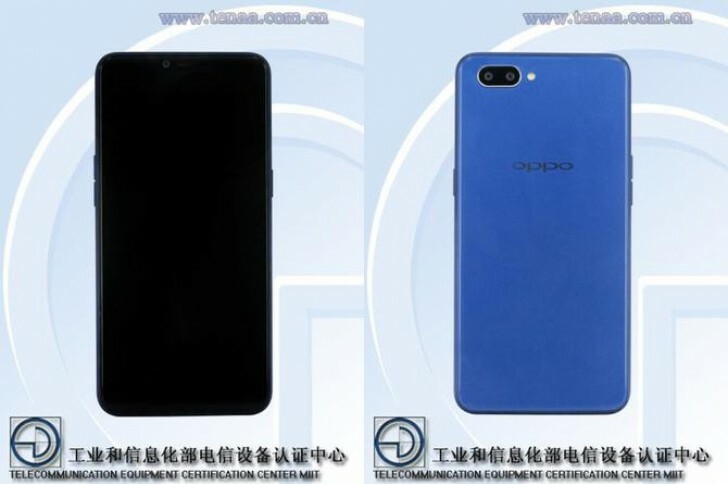 A few days ago, a phone similar to Oppo's Realme 1 handset appeared online - the so-called Oppo A5. Of course, specs are different and the A5 sports a dual camera instead of just one on the back but we suspect it will be just as affordable as the Realme 1 in India. The latest TENAA listing reveals a bit more about the device and since it's seeking certification from the Chinese authorities, we assume it's going to be for its home market. According to the listing, the A5 will be powered by a Snapdragon 450 paired with either 3GB or 4GB of RAM and 64GB of internal storage. The screen is 6.2" in diagonal featuring a notch on the top with 720 x 1520 pixel resolution. The listing also confirms the large 4,100 mAh battery and the dual camera setup on the back that consists of 13MP and 2MP units. The front-facing one does 8MP stills. 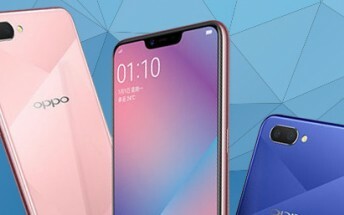 And as you can see from the renders, the design is pretty similar to the Realme 1 and also misses the much-needed fingerprint sensor, so we can assume it will rely only on Android's default facial recognition feature.